This Easy Slots game follows the theme that is hinted at in the title! Its about a powerful phoenix who lives up to its legendary expectations through being able to come back to life after being swamped in fire. 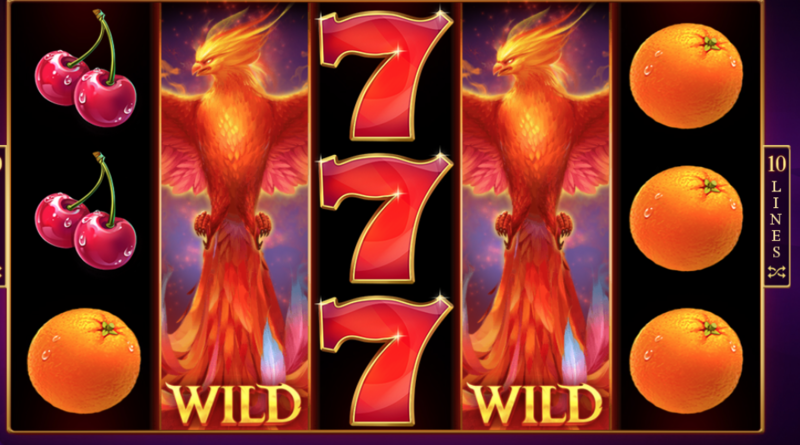 Red Tiger Gaming have not failed in providing iconic theming here which suits the online reels well. 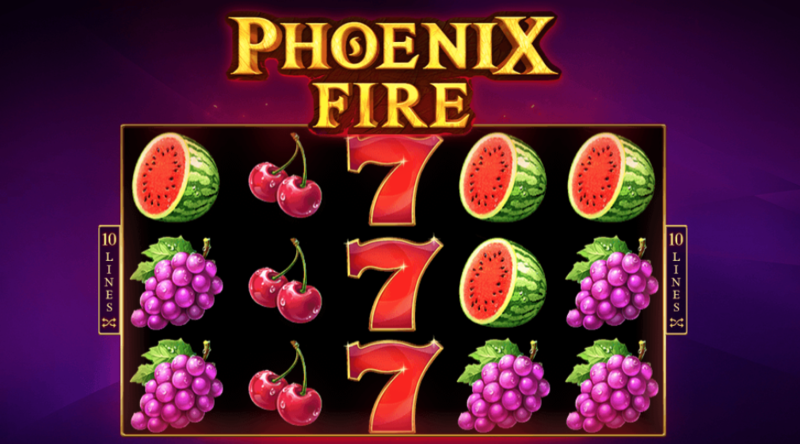 There are plenty of bonus features to keep you involved and keep an eye on the jackpot and not just the burning eagle. 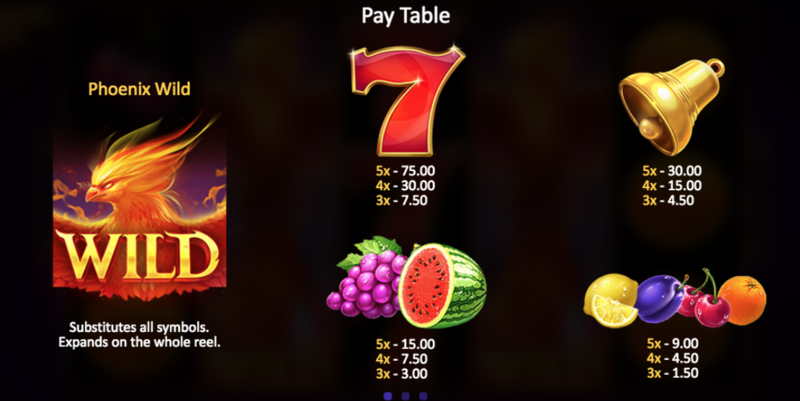 These include free spin features, a progressive jackpot and random multipliers. This is a five reel slot game with forty fixed paylines set over four rows. The background matches the theme accordingly with the phoenix’s beautiful feathers spreading around the border of the reels. As the eye wonders further, you will notice a Chinese landscape in the background with stunning temples and authentic buildings. The lowest paying symbols come in the form of traditional card (9,10, J, Q K and Ace). The higher paying symbols include a golden feather, a baby phoenix and a majestic tree. There is also an egg that will pop up on occasions! The wild symbol here comes in the form of the Yin and Yang which will do the normal job of replacing all of the other symbols on the reels and helping the player to generate wins. This will not have the power to change the golden egg bonus symbol though. To the left of the reels, there is a large crystal and this will change in value at random. If a win matches the value of the crystal, it will be multiplied by the value of the crystal so it’s worth keeping your eye on it! The majestic golden egg will only appear on reel three but it will generate an instant cash win which is proportional to your stake. The scatter symbol will generate free spins – these start off at an initial sixteen spins but it doesn’t stop there as more casino bonuses can be achieved later in the game! This is a fun game with an inviting theme, Red Tiger Gaming are a trustworthy developing company and a spin on Golden Phoenix would definitely be recommended. The progressive jackpot is triggered by landing three of the jackpot symbols which change all of the time. The return to player value is a respectable 96.29 percent so its worth getting involved here for your chance to win big! Enjoy more slot games online.